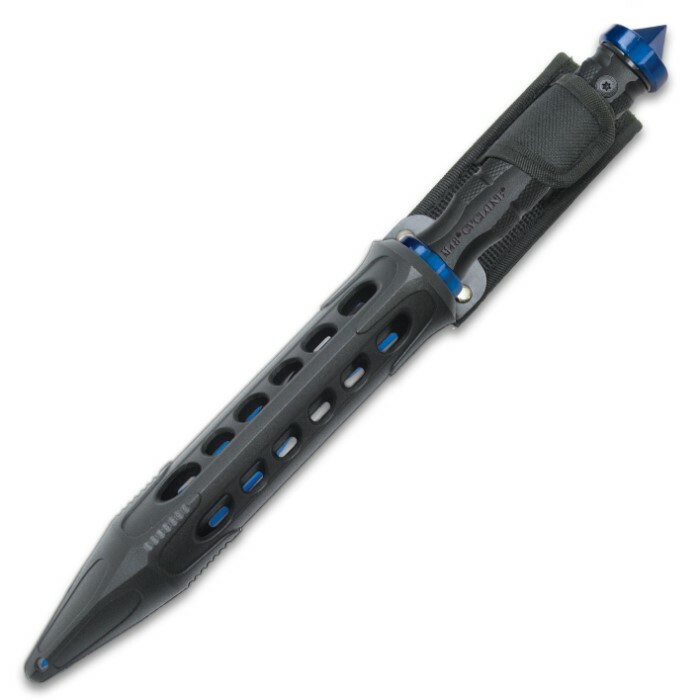 Tsunami Force Limited Edition Set - Includes The Cyclone And The Tactical Tomahawk Axe, 2Cr13 Stainless Steel Blades, Reinforced Nylon Handles | BUDK.com - Knives & Swords At The Lowest Prices! If you could only make one purchase the rest of your life the Tsunami Force Limited Edition Set is that once-in-a-lifetime purchase! 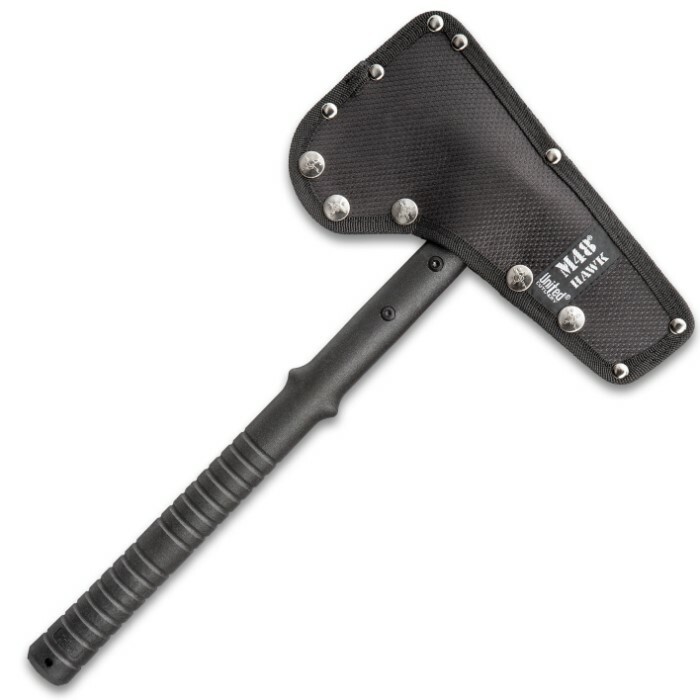 The set gives you the cream of the crop of M48 tactical weapons - the most sought after Cyclone and the tried and true Tactical Tomahawk. The blade of each is precision cast of 2Cr13 stainless steel with a saturated blue and black finish. 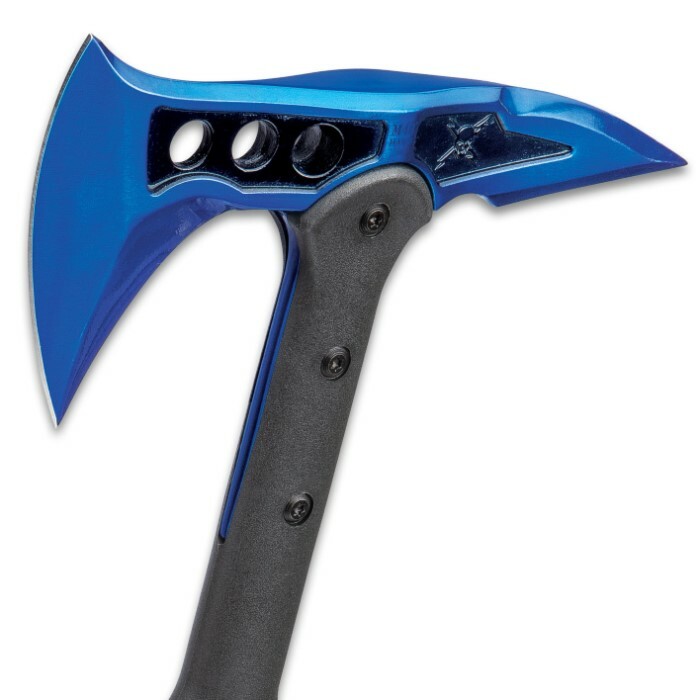 Each handle is crafted of glass-fiber-reinforced nylon, giving you a strong and secure grip. 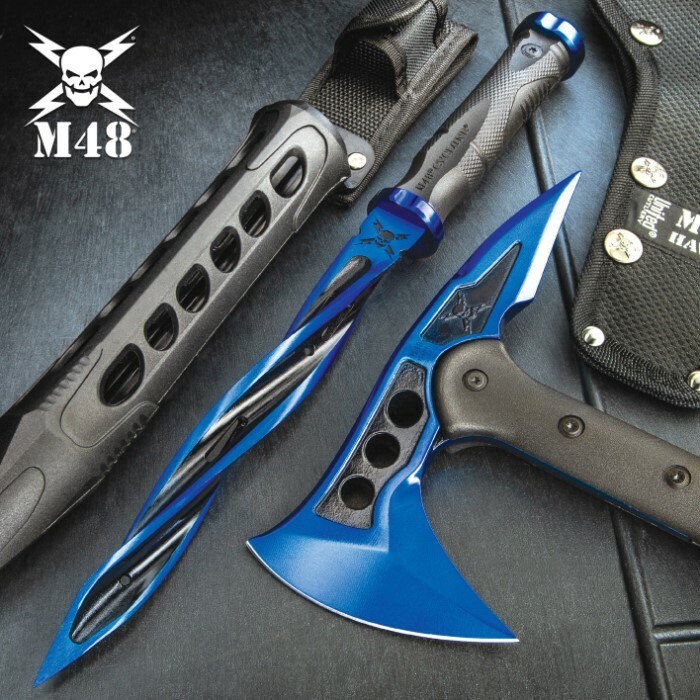 With features like the Cyclone’s skull crusher pommel and the Tactical Tomahawk’s piercing spike, even the opposite end of the blade on these M48s will do some damage! The Tsunami Force Set, like the force of nature it’s named after, won’t be around for long. Make sure that you make that once-in-a-lifetime purchase today! Beautiful craftsmanship, sturdy construction. My wife loves her new shiny stabbies.